An infant school in Huthwaite has opened a consultation on splitting its school site in two. Huthwaite All Saints C of E Infant School currently has the one school site, on Common Road, however plans are being put together to expand into the All Saints Centre. This would mean the All Saints Centre would cease to be used in its current format and would become a part of the school premises. 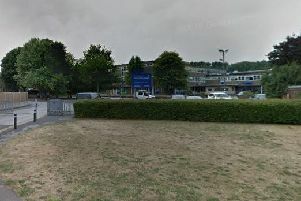 It would also mean the school would be split into two sites, with the school aiming to extend the age range from infant school to primary school. The school plans to address changes in the area’s demographic and the growing application for children into its school. This change would become effective from September 2020, if plans are accepted by local stakeholders such as parents and members of the Huthwaite community. The consultation started at the end of February and will run until Sunday, March 24. David Mills, lead governor for the school, said: “Nottinghamshire County Council’s school places team approached the school and the church (who own the Centre) to ask if we’d consider allowing the possibility of using the Centre as part of a split site school. “They said that they are expecting the need for extra school places to increase significantly in the next couple of years. “They also made it clear that one of NCC’s options is to build a second school unit (4 classrooms, small hall, office & staff room) on the field below the school. “The field already features in the original plan for use as a playing field and extra car parking to ease congestion on Common Road. “If the Centre is used, members of the public will only be able to access the cafe area which will have new toilets. “All existing toilets will be used exclusively by children and every classroom will have toilets. “As for the centre, the church/public will still have access to the hall in the evenings and at weekends, so activities such as social dances, Cubs, Beavers and Scouts will still be able to take place. Access to the two Seminar Rooms will not be possible as they will form part of a two classroom suite in that part of the building. “One of the reasons the Centre has been considered, is that it is likely that Sure Start will no longer be with us after 2020. 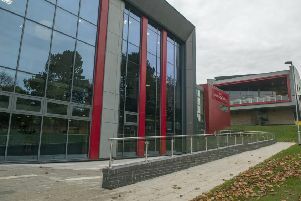 They occupy 45% of the building at present, and it is by no means certain that the building would be able to survive as a Community Centre without their funding. “Finally, I’d like to say that I’m surprised that people haven’t contacted me to discuss these issues.